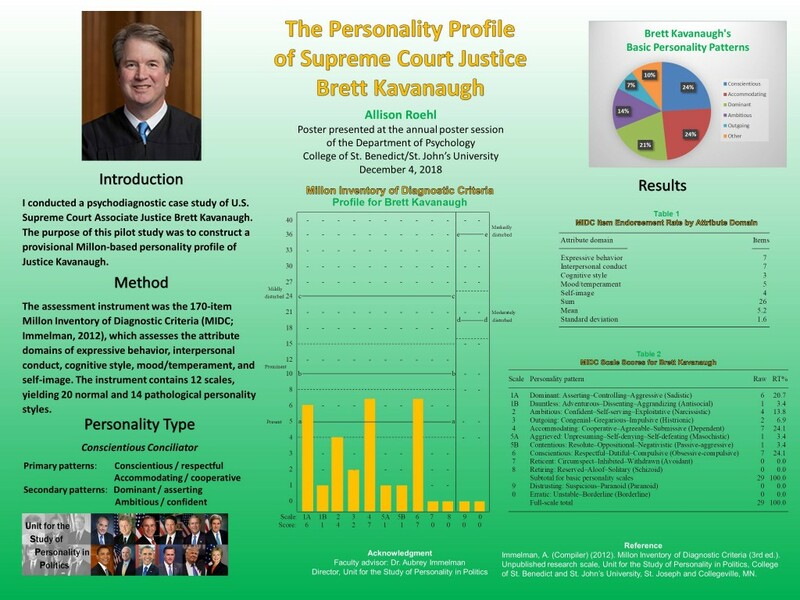 A psychological analysis of United States Supreme Court associate justice Brett Kavanaugh by Allison Roehl and Aubrey Immelman, Ph.D., at the Unit for the Study of Personality in Politics, revealed that Kavanaugh’s primary personality patterns are Conscientious/respectful and Accommodating/cooperative, with secondary Dominant/asserting and Ambitious/confident features. 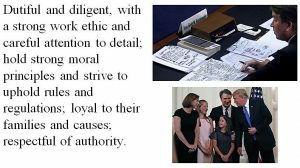 In summary, Justice Kavanaugh’s personality composite can be characterized as that of a conscientious conciliator. Conscientious (scale 6) individuals are characteristically principled, prudent, proper, dignified, and dependable; they are dutiful and diligent, with a strong work ethic and careful attention to detail. Accommodating (scale 4) individuals are cordial, cooperative, and amicable; they are polite, respectful, and agreeable, willing to adapt their preferences to reconcile differences, and to concede or compromise when necessary. Dominant (scale 1A) individuals enjoy the power to direct others and to evoke obedience and respect; they can be tough and unsentimental and often are effective in positions of authority. Ambitious (scale 2) individuals are bold, competitive, and self-assured; they easily assume leadership roles, expect others to recognize their special qualities, and may act as though entitled. Individuals with a predominantly Conscientious (scale 6) personality pattern who also possess significant Accommodating (scale 4) features may be characterized as conscientious conciliators. The Conscientious–Accommodating blend is the most well-adjusted of all Conscientious personality variants. These personalities are earnest, hardworking, meticulous, play by the rules, and are duty-bound. 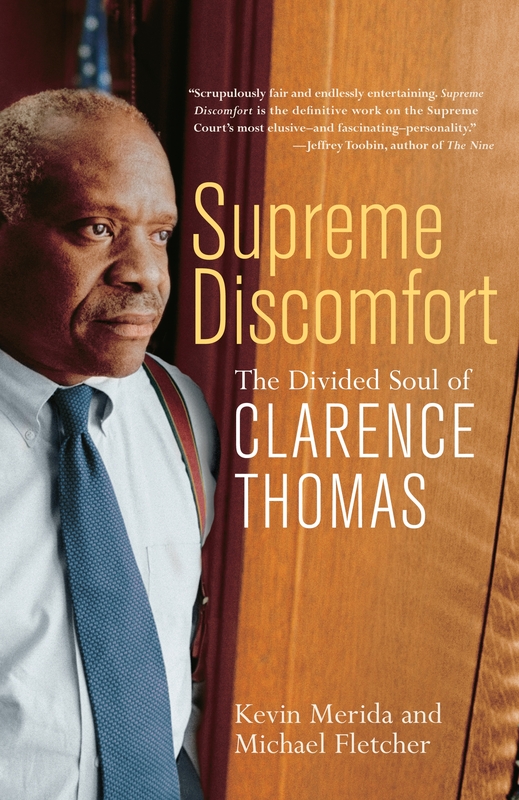 The most prevalent limitation of this personality amalgam is a tendency to be inflexible and indecisive, with an unwarranted fear of failure or error; hence, they tend to be risk-averse and are typically more submissive (socially agreeable) than dominant. 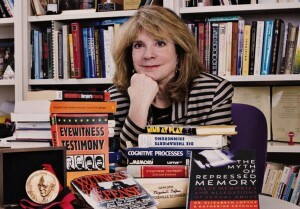 This indirect, at-a-distance personality assessment cannot be construed as disconfirming or confirming the sexual assault allegations dating back decades that Dr. Christine Blasey Ford leveled against Justice Brett Kavanaugh during his Senate confirmation hearings; those allegations must be evaluated on their own merits. 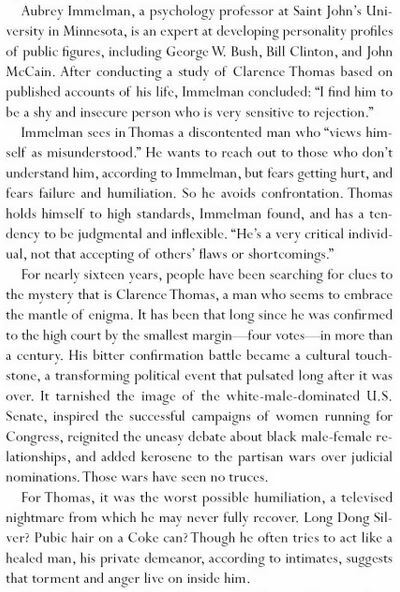 It may, however, legitimately be asserted that the personality profile is inconsistent with that of a person who would exhibit a pattern of sexual misconduct (or any kind of habitual criminal or antisocial behavior). 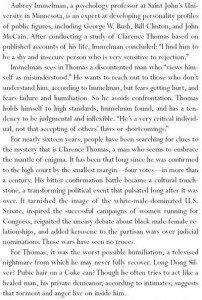 Finally, the profile cannot exclude the possibility that a teenage Brett Kavanaugh — irrespective of his enduring personality pattern — could have committed a sexual indiscretion on occasion when his judgment was impaired by alcohol intoxication. 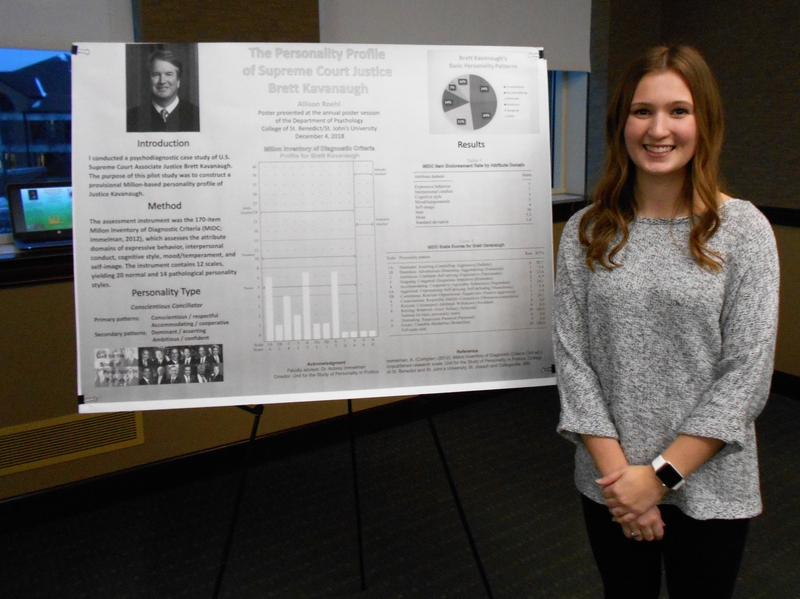 Allison Roehl presents her research poster, “The Personality Profile of Supreme Court Justice Brett Kavanaugh,” at the annual Department of Psychology Poster Session, College of St. Benedict | St. John’s University, Dec. 4, 2018. It’s Not Chaos. It’s Trump’s Campaign Strategy.